Cloudscape Comics is currently raising funds to produce The Witching Hour, a duotone comic anthology by women and nonbinary contributors from Western Canada. The book features 11 stories of different genres that reflect upon the definition of what a witch can be. Tier options include digital and physical copies of the book, an enamel pin, a bookplate, and other comics from Cloudscape. The Kickstarter ends on March 24. Margins Publishing is currently raising funds on Kickstarter to produce Dates! An Anthology of Queer Historical Fiction (Volume 3). Like the other books in the Dates! series, every story has queer main characters in situations before 1965 with no tragic endings; however, this book’s theme is “adventure.” Tier options include digital and physical copies of the book, postcards, past Dates! books, other titles from Margins Publishing, and commissions. The Kickstarter ends on March 28. (Greenwich, CT) Blue Sky Studios is seeking a temporary animator, a temporary compositor, and a temp Crowd Simulator TD. They’re also seeking summer interns in animation, character, character simulation, crowds, effects, lighting/compositing, story, vis dev, and more. (Vancouver, BC) DHX has job openings for a 2D BG Builds Supervisor, a 2D Harmony Animator, a Lead Designer, 3D, a Harmony Animation Supervisor, a Production Coordinator (Design/Assets), and more. (Burbank, CA) Disney TV Animation is hiring a Color Designer, a Sheet Timer, and a Storyboard Artist. Be sure to check Disney’s website for both creative and office positions with Disney! (Glendale, CA) DreamWorks is hiring an Artist Recruiter, Assistant Animatic Editor, a Character Designer, a Feature Technical Director, a Lead Effects Artist, a Modeler, a Previs/Rough Layout Artist, a Production Assistant, a Production Coordinator, and more. They’re also hiring a Production Intern and a Feature Training Intern. (Burbank, CA) Nickelodeon is hiring an Asset Production Coordinator, Character Technical Director/Rigger, CG Animation Director, Character Designer, a Production Coordinator, a Post-Production Supervisor, and a VP of Digital Content. Threadless is accepting artwork for the following design challenges: Happy Hour, due March 29. Mei Lian Hoe is accepting submissions for the Cryptids in Close Quarters zine until March 22. 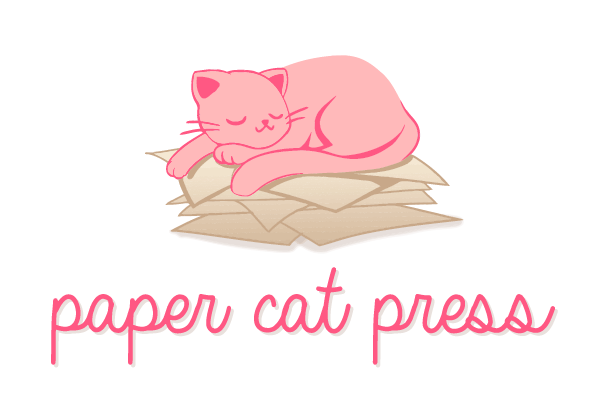 The zine is not set to have a print run, and contributors will receive a digital file that they can print. Jerry’s Art-A-Rama hosts a number of art contests, some ongoing and some requiring specific materials. Currently, the 7th Annual Self Portrait Contest is accepting submissions, and 33 winners will receive between $25 and $2,000. Lucky Pocket Press, a risograph press and artist collective making zines and objects that feel lucky and warm, is seeking artists to collaborate with. The Scholarship from Hell is accepting applications until today, March 15. Recipients will receive domestic coach airfare to and from the StokerCon venue, a 4-night stay at the convention, free registration to StokerCon , and placement in Horror University, multiple workshops. TCAF is accepting applications for placement in its Zineland Terrace until March 29. (New York City, NY) People of Color in Publishing is hosting a Diversity in Design Workshop and Portfolio Review on March 25. (New York, NY) Simon & Schuster is hiring a Book Cover Designer. (New York, NY) Skyhorse Publishing is seeking a Designer. The Spare Change Grant Program is accepting applications from Black, PoC, and LGBTQ+ artists to use for the cost of residency and open-call application fees until March 25. (New York, NY) Crooked Line Books is seeking an Editor/Senior Editor for Women’s Fiction. Becca Hillburn of Nattosoup shared a post on Laying Out Your Mini Comics and Zines and Creating Art Digitally. She also shared a list of Recommending Reading for Comic Artists. Be sure to check Becca’s Youtube channel for new video interviews with independent artists, walkthroughs with dip pen nibs, tutorials, and more. Stephanie Cooke shared this great list of comic shops for you to sell your indie comics and wares at. Goodreads constantly offers giveaways for a variety of titles in all genres. Check out these giveaways for comics and graphic novels, like this one for The Handmaid’s Tale by Renée Nault and Margret Atwood and Mera: Tidebreaker by Danielle Paige and Steven Bryne.